Besides our vast range of cooked sausage specialities with design, we can also offer you a small selection of specialities that have meanwhile turned into real classics. 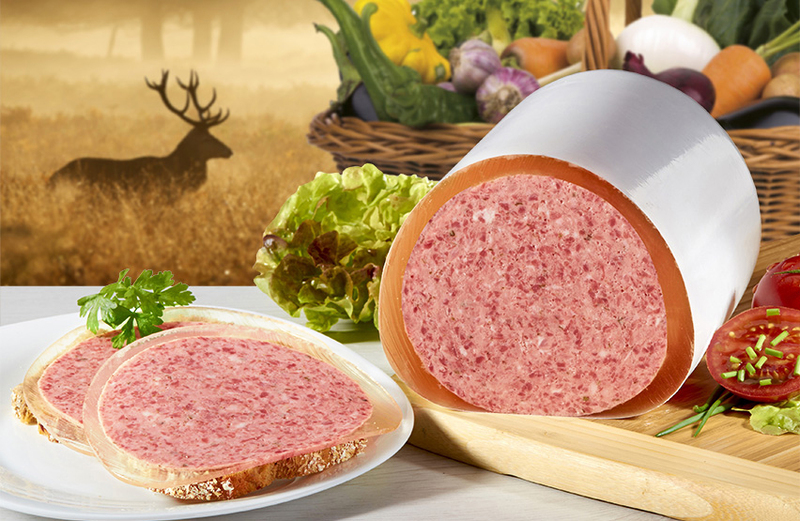 Our top-seller „Hunter’s Breakfast“ is traditionally produced and only has a 10% fat content whilst offering full flavour. Years of success, impossible to copy! 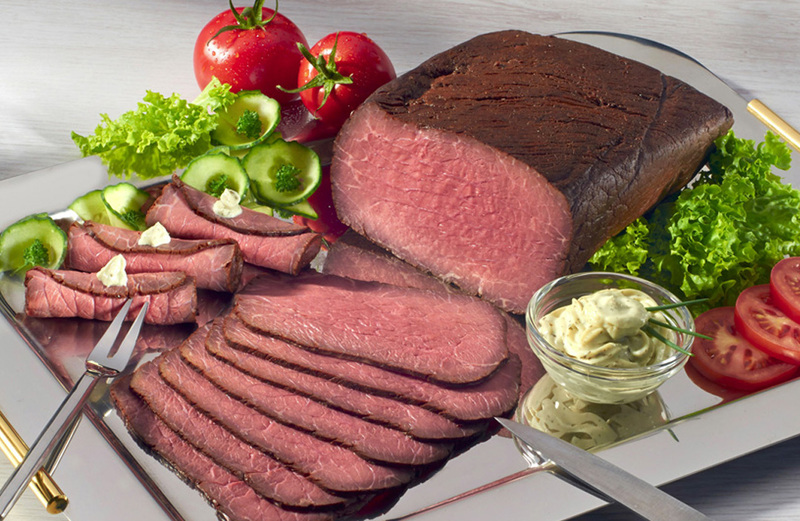 As a highlight for your buffet, our American Roast will find your interest - a real alternative to the traditional roast beef, cooked to medium, unique in flavour due to the special outer seasoning, unbeatable in price.